Hosted by Vitrum, this half-day, highly informative conference will offer in-depth discussion on some of the most topical issues in the architectural industry today. JOIN US FOR GLASS TALKS 2019!! – Register Early – Space is Limited! If "other" was selected above, please enter the category that best represents you. If "other" was selected above, please enter how you heard about this event. 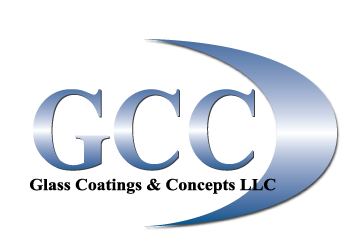 Subscribe me to the Vitrum Glass Group Newsletter. Subscribe me to Vitrum Glass Group Event Notifications. You can change your mind at any time by clicking the unsubscribe link in the footer of any email you receive from us, or by contacting us at marketing@vitrum.ca. We will treat your information with respect. For more information about our privacy practices please click here. By clicking below, you agree that we may process your information in accordance with these terms. Directions: Refer to location map below. 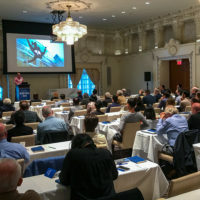 Glass Talks 2019 is an annual half-day architectural event hosted by Vitrum Glass Group, Canada’s leading glass fabricator. This year’s event promises to be the best yet – as we have added one additional full session for a total offering of four AIBC accredited sessions. A complimentary breakfast and table top exhibits will open the conference and provide guests with the opportunity to network with primary glass suppliers and others key players from within the architectural design industry. This free event is being offered exclusively to professionals in the building design industry – Architects, Spec Writers, Engineers, Glaziers, Builders and Developers. Throughout the year we listen to clients as they present project challenges and obstacles. Glass Talks provides a chance to connect with others in the industry having similar issues, and offers the architectural and design community an opportunity to learn about the issues that they’ve presented to us as the most prevalent or challenging. Our speakers are industry leaders that will share unique perspectives and opportunities to overcome challenges on their specific area of expertise. !!WIN!! As a special thank-you for attending, we’re offering ONE INCREDIBLE PRIZE DRAW – a $350 Hawksworth Restaurant Gift Certificate!! To be eligible for the draw, the only thing you need to do is register for the event and be in attendance at the time of the draw. An engaging session that will review the thermal performance of today’s typical window wall systems. Learn how to overcome building envelope challenges and discover some of the misconceptions of BC’s energy STEP code. This session will review the current state of energy codes and the need for improved window performance. Learn how vacuum insulated glass is manufactured and its performance benefits. How connected is the condition of our indoor environment to our overall health and wellness? 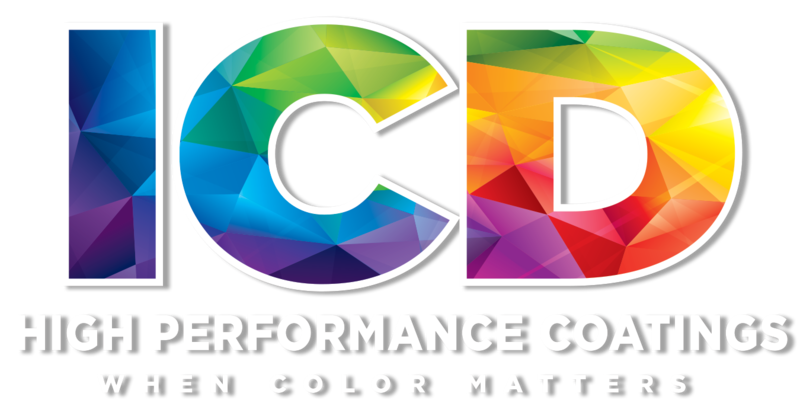 This session will discuss the importance of daylighting, thermal comfort, and acoustics for occupants. This panel will identify and discuss the challenges and considerations of manufacturing, designing, installing, and transporting oversized glass. Thank you for attending! We encourage you to visit one of the many world-class restaurants near this great venue during your lunch break. Register Now! click the blue register button down below. 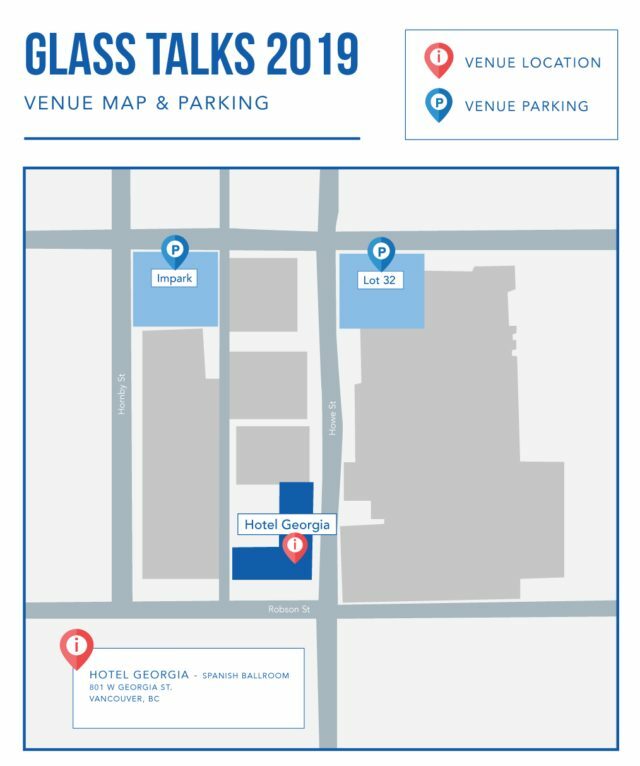 Sign up below to register for this year’s Glass Talks 2019 event!